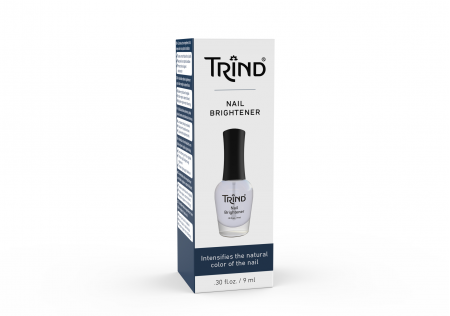 For amazing results use in combination with TRIND Nail Repair. For a bright and natural look, apply a fresh layer daily directly to the nail. Remove the former coat with TRIND Nail Polish Remover. When used as a top coat, make sure your nail polish is completely dry before you apply 1 or 2 coats of TRIND Nail Brightener. After use, clean the rim of the bottle.